Hybrid Light PUC Lantern. Now I need more of them. Yet another product that I stewed about for some time before I decided that I had to have one. Why did I hesitate you ask? Well, that is a bit of a complex question, for me at least. First, I have lots of flashlights. LOTS. Very few do I use regularly. So, when it comes to adding yet another light to my arsenal of lights I... take my time. One type of light that I have very few of is a lantern, a flood light. I have generally focused on task oriented lights or particular lumens and features. However, an area light has many uses and benefits as well, especially when it come to use within the home, tent or camp trailer. PUC light fully charged, plugged in and in flashlight mode. Second, the Hybrid light PUC is not a traditional flashlight. Anything that does not look or work like a traditional version of itself immediately sets off warning signs and red lights in my mind. Warning! Gimmick! I'm not one to immediately jump on the bandwagon when it comes to breaking the mold. Because it doesn't always work out. However, this light design works well. 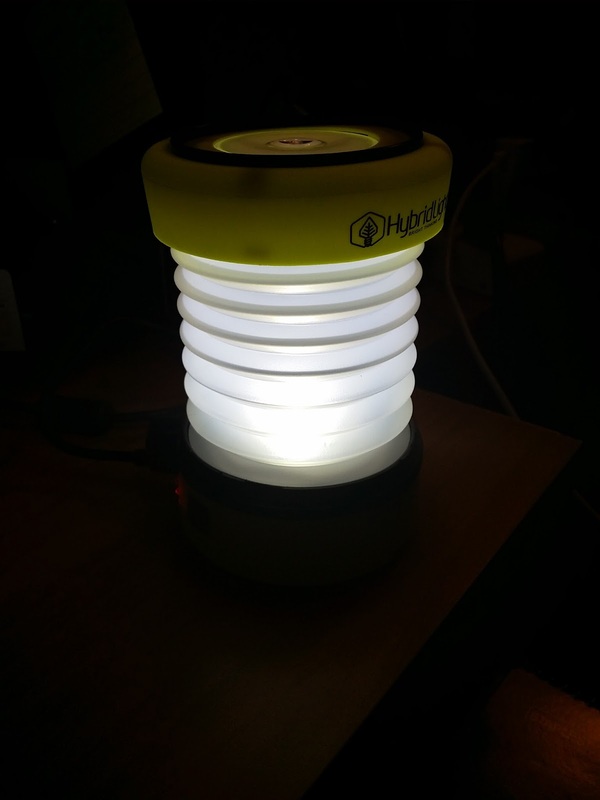 The Hybrid Light PUC lantern is rechargeable by a USB and it has a built in solar panel for charging as well. The light is also capable of charging a cell phone or other USB device which makes this much more than just a flashlight slash lantern. Devices that only charge via one of these methods makes them impractical. Keep it charged via the USB and use it often. 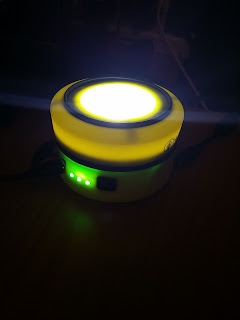 On a camping trip or during an emergency it can charge by way of the solar panel. 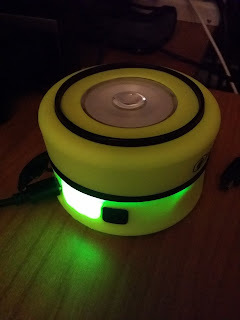 Pair this up with a K-Tor Pocket Socket, www.k-tor.com and you'll always be able to keep it charged. No additional batteries required. I like the sound of that! PUC light expanded. PUC light fully charged. Notice the two photos below. This is where the Hybrid Light PUC really excels. I turned all of the lights off in our home and walked around with the lantern, to simulate a power outage. I kept looking around to see if I had turned off all of the lights as there seemed to be more light than what this little lantern could provide. I was pleasantly surprised at its ability to comfortably fill our small home with light. Being an experienced amateur photographer I did my best to match the exposure with what I felt was the actual output of the light being careful to not under nor over expose these shots. As you can see, on the high setting of approximately 75 lumens, and being diffused through the expanding according style translucent plastic material, the results of the diffused light was amazing and far better than I anticipated from this little powerhouse. The PUC lantern has an internal 4000 mAh Lithium-Ion battery which means lots of hours of light as well as many years of reliable use. Lithium batteries can sit for years without losing their charge. This means that you can charge it and if you forget about it, it's likely to retain the charge and be ready when you need it. As you can see my youngest daughter enjoyed playing with it. During a power outage children can become fearful. 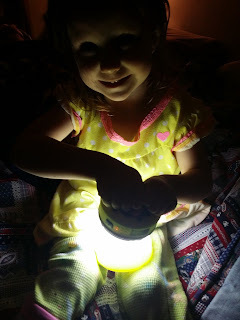 Light can be comforting to children and the unique design qualities of this light make it more entertaining and versatile than just a simple flashlight. Looks like a very good flashlight new light. no expensive and give too much like.